With a bubble curling wand you can create different types of curls; from tighter waves, to big loose beach waves, the options to create different looks are endless. The Bubble curling wand is equipped with a textured rod bubble bumps and this ball-like pattern guides the hair in between creases to give even, perfect spiral textured waves. Whatever Pinterest-worthy style of waves you may be wishing to achieve, bubble curling wands are incredibly easy to use and will give you awesome curls. We have gathered 7 of the best top notch bubble curling wands in the market. 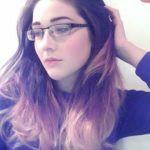 Check out our reviews and tips. 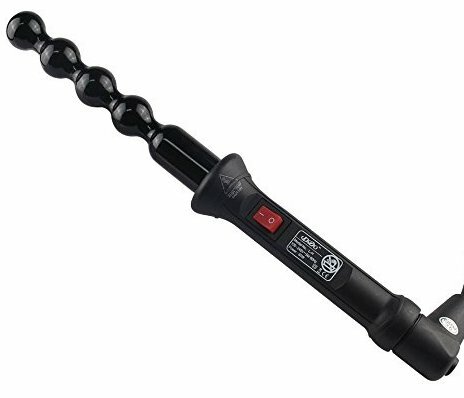 The Hot Tools Bubble Curling Iron has a 1.25-inch barrel that is comprised of Nano ceramic material. This material works great for creating quick curls that will last all day long; which is perfect for those ladies who have places to be and no time for touch ups throughout the day. 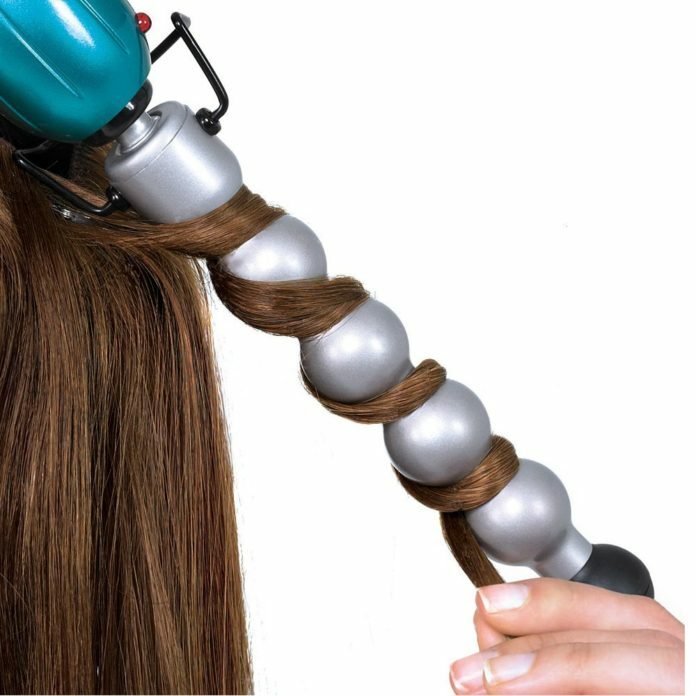 Perhaps one of the biggest turn-offs about bubble curlers, despite all of their positive traits, is the fact that they can be quite difficult to learn how to use. Pair that with the fact that burning yourself can be a frequent occurrence when first learning and it’s no surprise why some people hesitate to try one of these tools out! Fortunately, while the Hot Tools curler is no exception to the rule, it does come with a heat resistant glove to keep your hands safe while you practice curling your hair. It only has one heat setting, but it a relatively affordable curler that gets the job done and honestly does it very well. 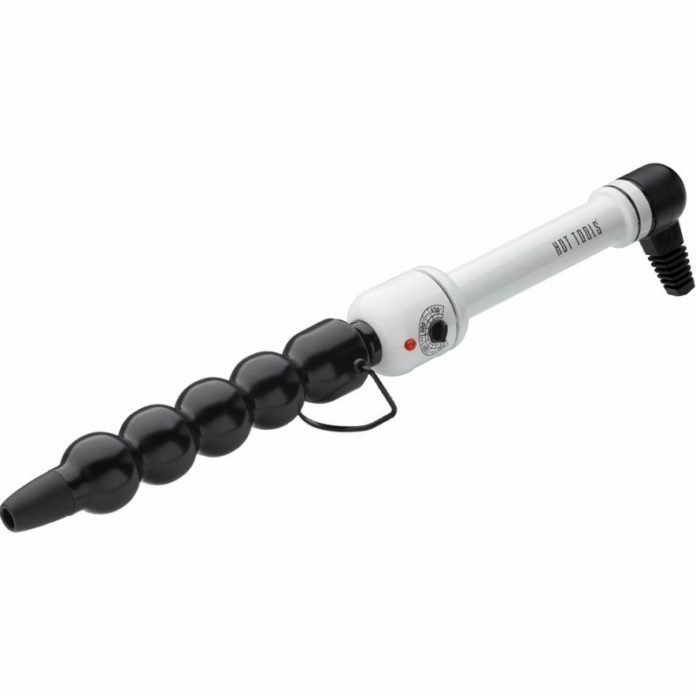 Overall, the Hot Tools bubble curler is a budget friendly, lightweight curler that is great for both beginning and experienced curlers. Just keep in mind that practice makes perfect! The tourmaline ceramic bubble curler by Blue Top is complete with a 1.25” barrel that will be great for any hair type. Perhaps one of the best things about this tool is that it it heats up very quickly and enhances that heat with the tourmaline ceramic body; this material is wonderful for keeping your hair shiny and smooth while still curling your hair in a very efficient manner. Whether you are looking for tight spiral or big beachy waves, the Blue Top Bubble Wand Curler is a great choice for those who are wanting professional level hair without paying the expensive menu prices. This is a budget friendly, high quality tool that can be used for either thick or thin hair! On top of this, it features a long professional style 360 degree rotating cord so that you don’t need to deal with pesky tangles. If you are looking for an all-around great hair curling set, the Pawrin Pro 7-in-1 Set may be the perfect fit for you. It is complete with 7 different interchangeable diamond tourmaline barrels that allow you to pick and choose which style you would like for the day all without needing to grab another tool from the drawer. The tourmaline diamond barrels are just as great as they sound with different sizes and the ability to gorgeous hair results for any hair type; whether that be thick or thin, long or short. Perhaps one of the best features on this tool is the fact that you can actually adjust the temperature! Most wands have one temperature that it consistently stays at, but with the Pawrin Pro, you can adjust your temperature via an LCD screen that will change from blue to green when the desired temperature has been reached. To top it all off, this curling set comes with a heat protectant glove, traveling case, and an auto-cover that works with 110v-240v; making this kit the ultimate styling companion when traveling the globe! 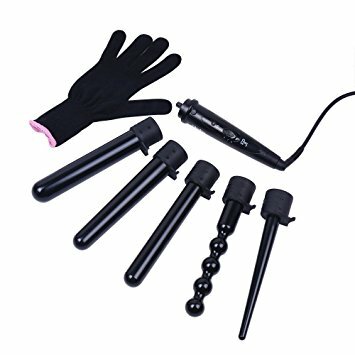 The Ohuhu Curling set is another excellent multi-head curling wand that a lot of people really enjoy. It features smaller barrel sizes that are excellent for shorter or thinner hair and each one is made of professional tourmaline ceramic technology that helps the hair to remain in the curls longer while also keeping the hair smooth and shiny. This tool is a real steal of a deal as it is one of the sets that comes with an adjustable temperature setting that is most often featured by the very expensive curlers on the market. 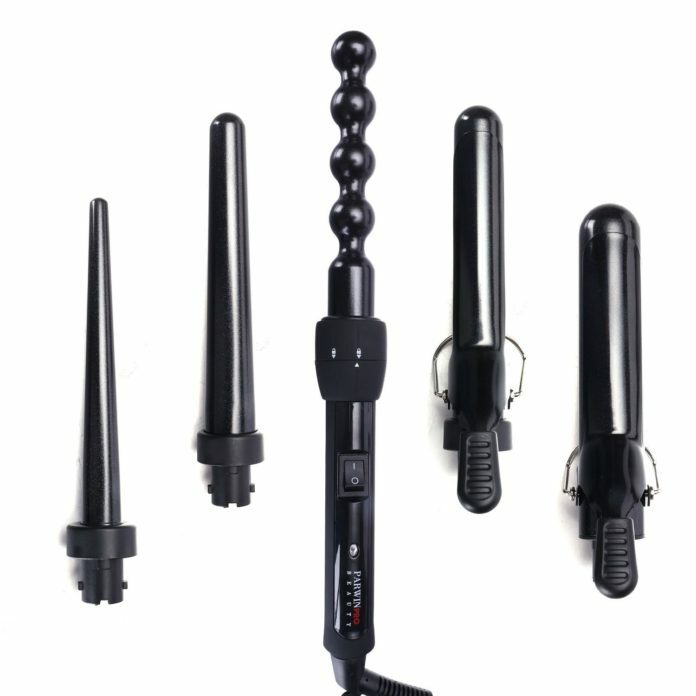 The Ohuhu Curling Wand set is still very affordable and is equipped with much more than just an adjustable temp. It also has PTC Pottery coating on the barrels that protects the hair further from heat and can be used all around the world with its universal voltage settings of 11v-240v! If you are someone who is looking for a budget friendly, multi-use, travel ready curling set then this one may be the perfect fit for you. Bed Head is a great beauty brand that makes some really fun products for hair. From the colors to smells, this company knows what makes styling your hair more fun! When it comes to their Rock N’ Roller Curling Wand, they give it some personality with a gorgeous aqua body and silver colored barrel. This tool uses tourmaline ceramic technology to reduce frizz and forms your hair into beautiful, tousled waves in no time. The Rock N’ Roller curling wand heats up to 400 degrees Fahrenheit and is dual voltage so that you can take it with you anywhere. 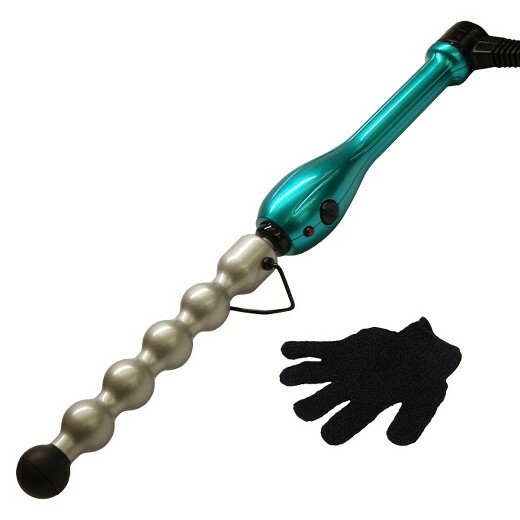 On top of this, the curler features a 6 ft. long professional cord and a heat resistant glove to keep your hands protected from the intense heat. Perhaps the only downside to this colorful tool is the fact that it only has one heat setting. However, if you have thicker hair the high heat setting will be perfect for getting the job done quickly. As the third multi-function curling set we’ve seen today, the NexGadget has a lot to live up to! While it has one less attachment than the Pawrin Pro 7-in-1 kit, it does have one more than the Ohuhu 5-in-1; making it a great in between set. Featuring tourmaline ceramic technology that helps to reduce static and frizz, the barrels of this curler set will keep your hair looking shiny and sleek while creating curls that last all day long. The heat is extremely intense, however, it can be adjusted so the set is great for all types of hair! The handle has a nonskid design that makes the job of curling your hair easy and comfortable, and although using a wand can take some practice, it shouldn’t take long at all to get the hang of this tool and be off to some serious hair styling goals. The NexGadget is a somewhat expensive set, but due to the amount of parts and its overall quality, it definitely justifies its price. Revlon is a classic beauty brand and their Ball Wand is just as classic. This tool is equipped with a cool tip to make styling easy, multiple heat settings up to 420 degrees Fahrenheit, and a lightweight body. It is easy to use and heats up quickly, meaning that you can get your hair styled and ready to go in the morning quick as a wink. Of course all curling wands take a bit of practice but with the heat protectant glove and a cool tip to hold onto, this Revlon wand is perfect for beginners. Barrel Size is going to be a very important detail depending on the thickness and length of your hair. 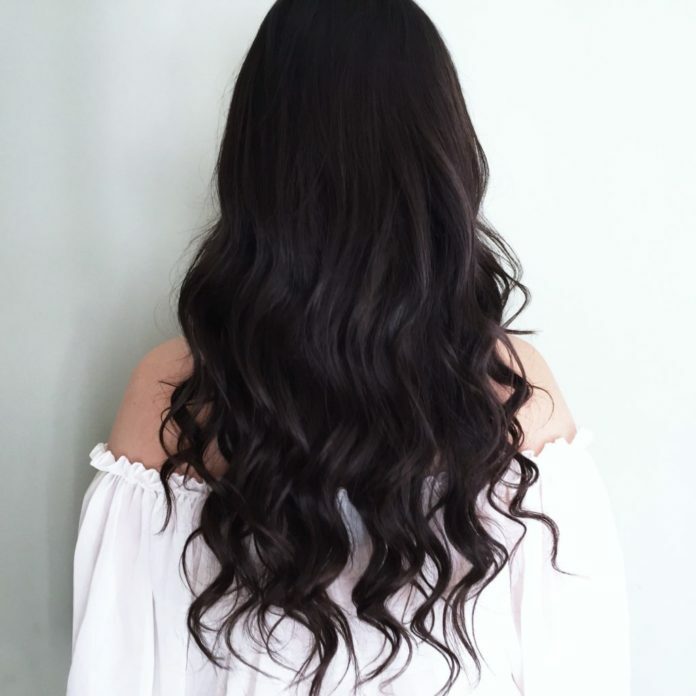 For instance, if you have thicker hair, you may want to avoid purchasing a bubble curler wand that is very short and with a small barrel size. This is because you will need to use less hair in order for it to fit on the barrel and smaller pieces means that it will take longer to complete the whole head. Try to purchase a bubble curler size that is compatible with your hair type so that you can get those beautiful waves quickly and without too much hassle! Weight will be a very viable factor when it comes down to how long it will take in order to curl all of your hair. If you have a very heavy tool (1.5 lbs. or more) then your arms may become tired quite quickly; especially if you are new to curling hair. When looking for a bubble curler try to look for a product that is less than 1.5 lbs. so that you will be able to move and manage it easily. Avoid products over that weight limit unless you know your arm strength is able to wield it easily. Know your limits. 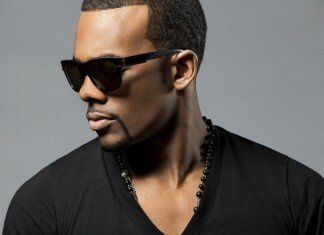 Adaptability is something to think about when you are deciding what style you want to accomplish for your hair. Are you wanting just loose waves? Or, are you wanting to mix it up every once in a while. This is an important question as there are some bubble curlers that come in an interchangeable set. While these sets may be more expensive, they are great for someone who wants to mix things up with just one tool. When deciding what you want avoid getting a product that won’t meet all of your needs and try to do a lot of research in order to see which tools will work best with the styles you desire. Materials make or break a product. If you purchase a bubble curler that is made from cheaper material, the chances of something breaking or malfunctioning on it are much higher. Try to find a bubble curler that uses quality materials such as sturdy plastic and Nano ceramic wands (for example). Avoid purchasing a tool where the majority of reviews state that the materials used are cheap, as that will be a waste of money. There are plenty of quality products out there that are still affordable, so if you are on a budget don’t fret about that! Price, as mentioned above, doesn’t have to mean you get a terrible product if you pay less. All it means is that you want to try to stick to a budget that works for you without getting something of lesser quality. Avoid getting the most expensive product out there just because you think it is the best. If you can’t afford the highest on the market that doesn’t mean you aren’t going to find a tool that works for you. Stick with your budget and do what feels right! Clasp or Heat Glove is something you are definitely going to want to consider when first buying any type of curling tool; especially if you are a beginner. 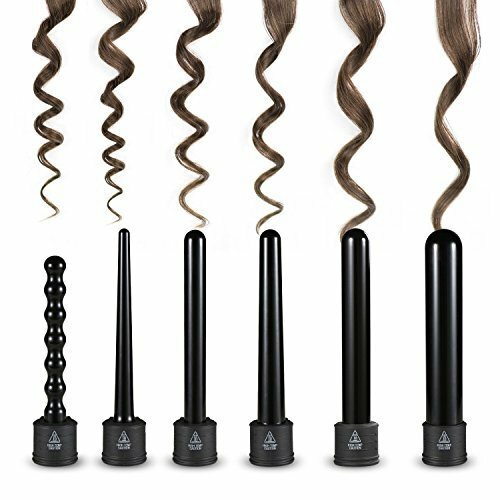 Once you get the method of how to use a curling wand, you may not need these little aids but when you first start out you will want them! These tools are extremely hot and burns can happen without some protection and careful practice. If you are a beginner, avoid purchasing a bubble curler that does not include a heat protecting glove or clasp to hold down the hair. If you already have some heat protectant gloves that will be fine. 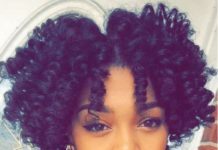 Try to find a product that offers these features so that you can achieve wonderfully curled hair without throbbing fingers. Prep your Hair: If you are someone who’s hair doesn’t tend to hold curl well, you may want to try applying some hairspray or setting spray before using your bubble curler. Also, always apply a heat protectant spray in order to protect your hair from the intense heat of the wand. 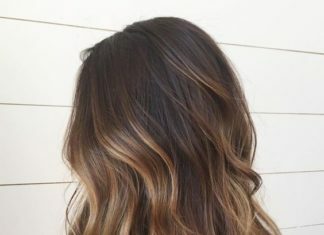 Section Off Hair: Depending on how thick or long your hair is, you will want to section off the hair into manageable amounts. Starting off with 2” pieces is usually a great amount to begin! Be sure that each section is brushed and tangle free before you curl. Put on a Heat Safe Glove: This is an important step, especially if you are a beginner! When using any kind of curler, your fingers will be getting very close to the wand, so using a heat protectant glove will help to keep the intense heat away from your fingers. Wrap Hair Clockwise/Counter Clockwise Around the Wand: You can alternate which direction you wrap the hair around the wand in order to determine whether it curls towards your face or away from it. Some people like to curl their hair all in one direction, while others like to mix it up. So choose whatever makes you happy! If you want thick waves, wrap the hair around the bubbles; for tighter curls, wrap the hair in the dips between each bubble. 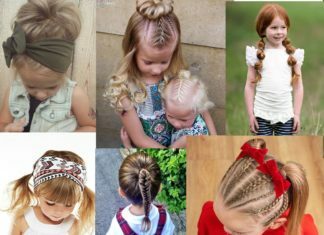 Wrap the Hair as Close to the End as Possible: You will want to get the end of the hair as close as you can to the barrel in order to prevent any kinks. Don’t leave a long tail in your hand, but be sure to leave just enough hair off the barrel in order to keep your fingers away. 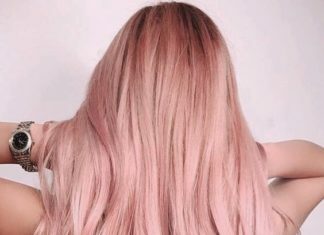 If you have a clip on the barrel, simply put the end of the hair into the clip like you would a curling iron and roll the hair in whichever direction you choose. 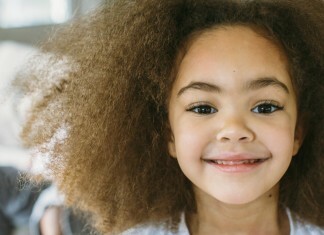 Release Hair and Allow to Cool: Once the curl has been created, give a gentle tug on the hair to loosen it up. The hair will cool quickly and you can continue on with the rest of your hair sections. Style: Now that all of your hair has been perfectly curled into waves, you can style however you’d like!